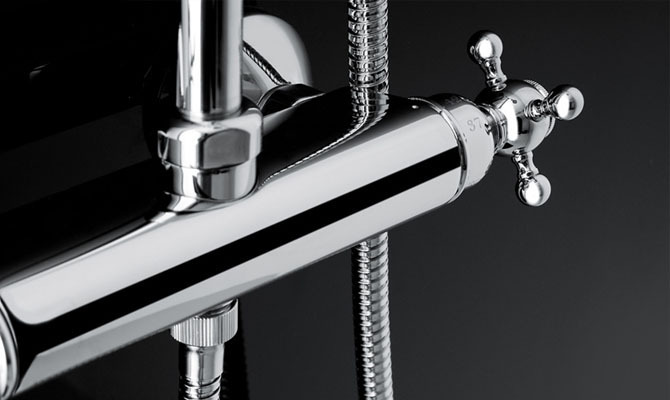 Mixer tap solutions to save on energy consumption. The taps of Sweet 46 collection are the ideal choice for consumers who pay attention to water saving: all items for the wash basin, taps and spouts are installed with a "green" water saving aerator, reducing the water flow rate to 6 litres per minute. Besides, thank you to an “energy saving” cartridge, it is possible to adjust the flow rate and the temperature of the water. Regarding the shapes, Sweet 46 mixer is characterized by balanced geometries that blend into a transversal and manifold design. The washbasin mixer, available also in the version for washbowl or wall-mounted built-in with plate, stands out for the parallelism between the flat rectangular lever handle and spout, which blend perfectly with the full cylindrical body. Another Fir Italia energy saving tap collection is New Cleo 84, which mixers are equipped with a “green” water saving aerator, reducing the water flow rate to 6 litres per minute. Also in this case, the cartridge is “energy saving” and allows the adjustment of the flow rate and of the temperature of the water. New Cleo 84 mixer is the reinterpreted and even more minimalist version of Cleo 80, Fir Italia’s renowned collection based on cylindrical design. 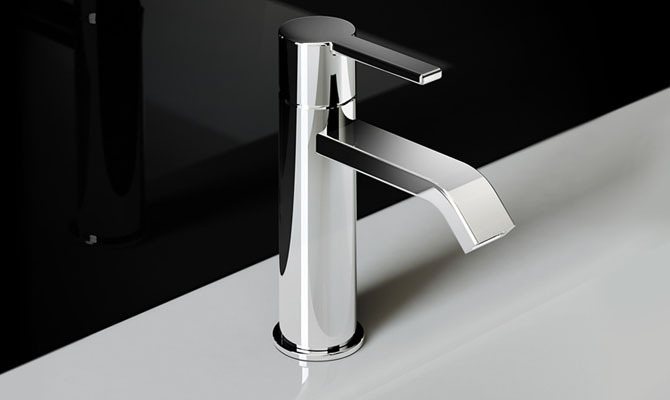 The washbasin mixer is characterised by the round and proportioned contours of the body and spout, as well as the lever in the form of a thin cylinder. 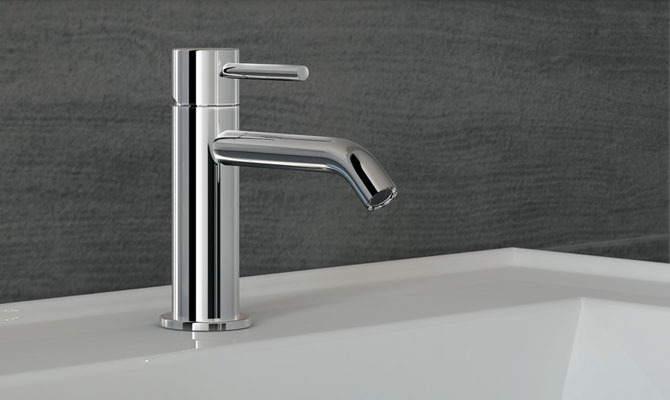 “Green” aerators can be installed on all Fir Italia modern o classic tap collections in order to reduce the flow rate and save about half of the water, thus ensuring a pleasant and balanced flow maintenance. Water consumption can also be reduced when using Fir Italia showers. 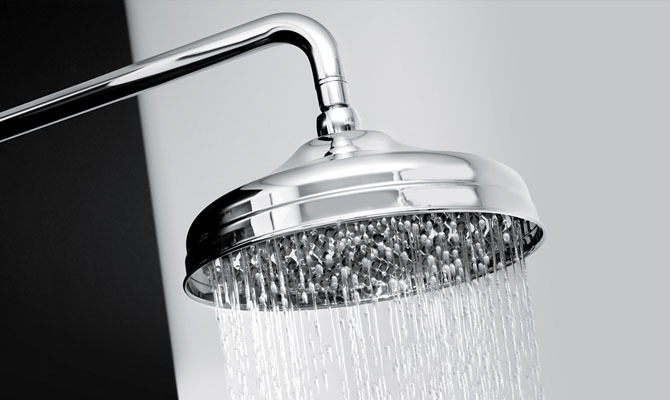 It is enough to install a flow reducer on any shower head or shower bar in either modern or classic style. A solution allowing an optimization of the water flow regulation, while maintaining a vigorous jet. Another valid solution for water saving when using Fir Italia showers is the installation of a thermostatic mixer; it can keep a constant water temperature throughout the shower duration. In a short time the water can reach the desired temperature, resulting in a significant reduction of the waiting time and consumption saving. All this is possible thanks to the thermostatic valve mechanism, mixing hot water and cold water according to the set temperature, reacting immediately to whatever change in pressure or temperature while supplying water and adjusting the hot and cold water mixing in real time.